With this quote Joseph Campbell began his study in mythology. What I want to examine in this post is just how far back we can trace civilization, cities or even just large communities. With the discovery of Catalhoyuk we now have evidence of an established villages cluster of at least 10,000 people living together over hundreds of years. 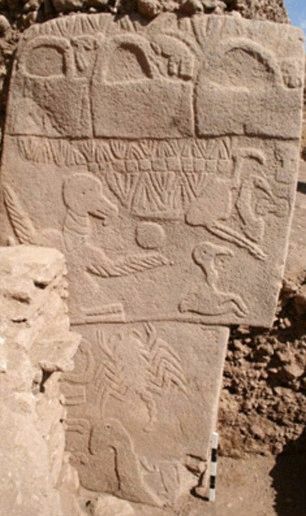 The village life is firmly established around 7,500 B.C. So this spreads out the cradle of civilization from the fertile crescent more towards Central Asia and it also pushes back the dates of the earliest cities. The first examples of developed pottery is actually found (rather suddenly) in catalhoyuk which suggests that its was a growing and innovative society. With the Mesopotamian civilization firmly established in textbooks as the source of civilization everyone has heard of the later cities of Babylon and Egypt. The newer archeological finds, such as Catalhoyuk from the 1960's, haven't quite made it into school or college textbooks. However, museums seem to be catching up to the discoveries of the last century. Other interesting facts about the cities of Mohenjodaro and Harappa is that the bricks used in making them are uniform, i.e. they had a system to measure and weigh stuff accurately. They had their own sewage system, public baths and the structure of the architecture suggest an egalitarian society, but there are no signs of architectural development. That means these cities arrived fully developed and then went into decline. There are no in-between cities or towns where the Mohenjodaro/Happan style of architecture is first used. "The carbon dating of 7500 BC obtained for the wooden piece recovered from the site changes the earlier held view that the first cities appeared in the Sumer Valley [in Mesopotamia] around 3000 BC," said B Sasisekaran of India's National Science Academy. 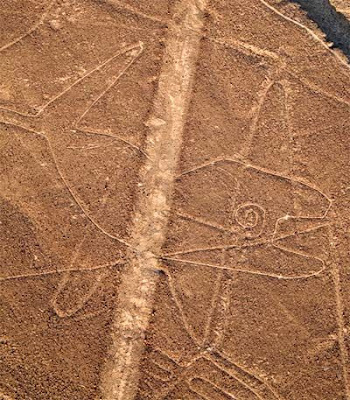 The images gathered over the past six months led to a surprising discovery - a series of well-defined geometric formations were clearly seen, spread irregularly across a nine-kilometre (five-mile) stretch, a little beneath the sea bed. Some of them closely resemble an acropolis - or great bath - known to be characteristic of the Harappan civilisation. The Gulf of Cambay is one of the largest tidal areas in the world - with a current of very high velocity - and so it is conceivable that the area may well have submerged an entire ancient settlement, Mr Ravindran said to the BBC. I have covered a bunch of evidence of underwater structures in an earlier post called Underwater Ruins. It also has a video of an Indian Archeologist who finds evidence of some underwater structures and links it to the Mahabharata which describes a city that was submerged in some long ago time with vibrant images of life in the city as well as some romanticized images of a city of gold. For this post I'd like to show with images that there is undeniable evidence - i.e. you can see it for yourself - that there was a civilization or at least a bunch of advanced cities along the coastline before the end of the last ice age. 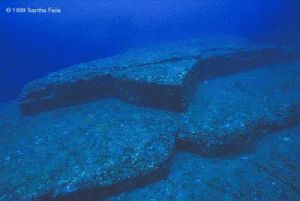 First a couple of images of the underwater structures off the coast of Japan covered in the earlier post. 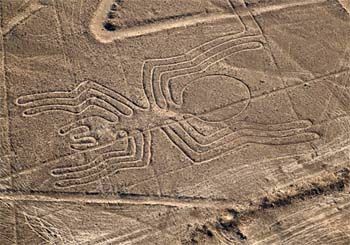 Just looking at the above pictures, under around a hundred feet of water, isn't it obvious that the picture right above is carved while the image above that has a typical arch architecture(of a certain time). 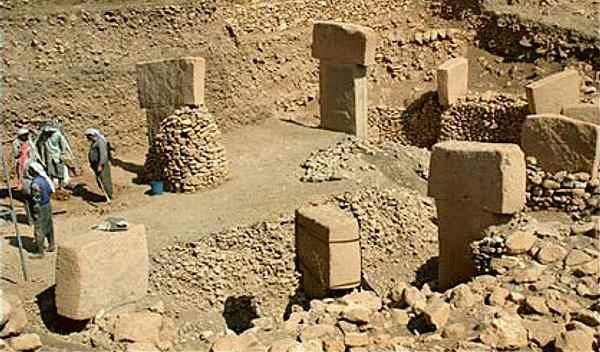 Six miles from Urfa, an ancient city in southeastern Turkey, Klaus Schmidt has made one of the most startling archaeological discoveries of our time: massive carved stones about 11,000 years old, crafted and arranged by prehistoric people who had not yet developed metal tools or even pottery. 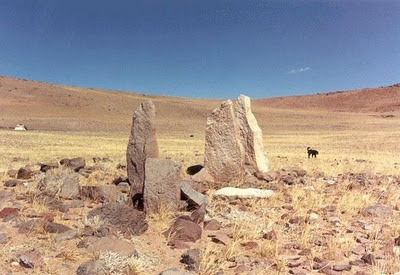 The megaliths predate Stonehenge by some 6,000 years. As the archaeologists dug deeper, they unearthed pillars arranged in circles. 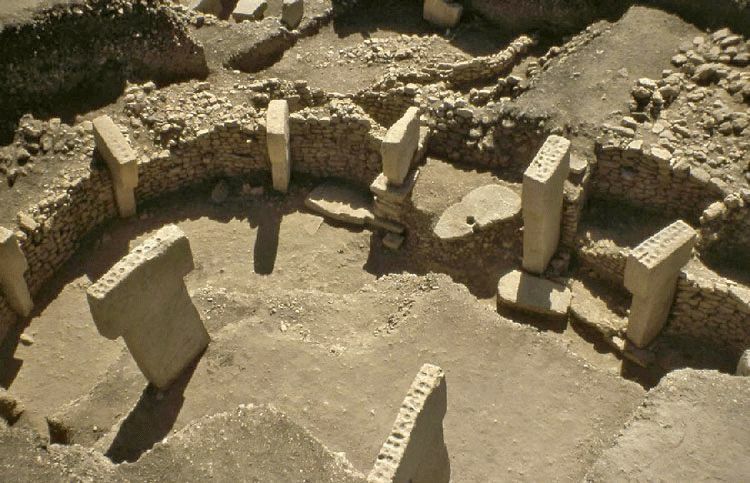 Schmidt's team, however, found none of the telltale signs of a settlement: no cooking hearths, houses or trash pits, and none of the clay fertility figurines that litter nearby sites of about the same age. The archaeologists did find evidence of tool use, including stone hammers and blades. And because those artifacts closely resemble others from nearby sites previously carbon-dated to about 9000 B.C., Schmidt and co-workers estimate that Gobekli Tepe's stone structures are the same age. 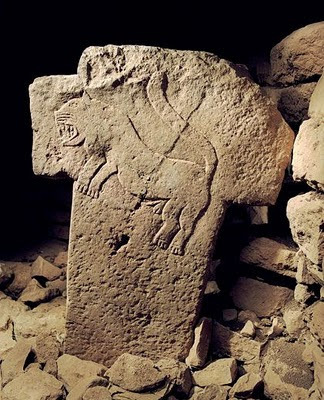 Limited carbon dating undertaken by Schmidt at the site confirms this assessment. Schmidt says the monuments could not have been built by ragged bands of hunter-gatherers. 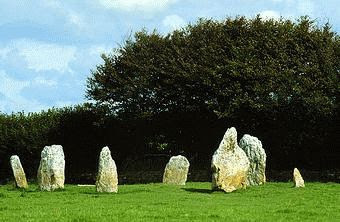 To carve, erect and bury rings of seven-ton stone pillars would have required hundreds of workers, all needing to be fed and housed. Hence the eventual emergence of settled communities in the area around 10,000 years ago. 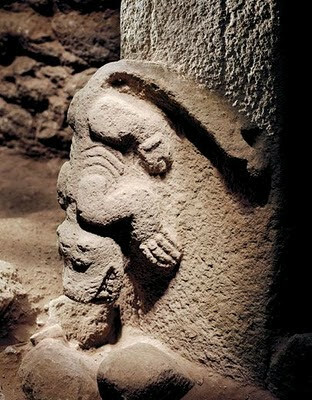 Hodder is fascinated that Gobekli Tepe's pillar carvings are dominated not by edible prey like deer and cattle but by menacing creatures such as lions, spiders, snakes and scorpions. "It's a scary, fantastic world of nasty-looking beasts,"
Here is a quick comparison between two unrelated structures, yet it's interesting that both seem to have some sort of significance requiring alot of labor to create but with no signs of settlement to explain its creation. 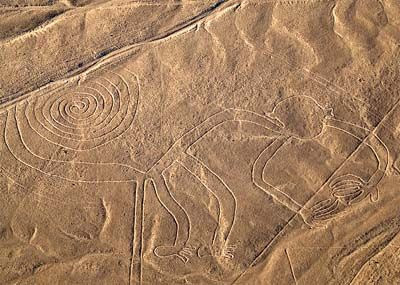 The lines drawn in the sand are the Nazca lines in Peru that covers a 37 mile stretch of land. Finally, I managed to obtain some of the sonar images of the city found over 1000 feet down off the coast of Cuba (mentioned in 'Underwater Ruins'). Not sure where I found them as I havn't been able to find the site again. 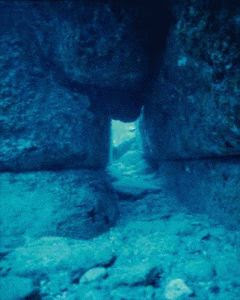 In any case, these pictures where taken by the underwater team using sonar and small submarine type cameras. The close ups are of large cube and pyramid shaped like objects, while the sonar shows the size of the area that these structures are built around(several square miles). Unfortunately very little information is available on these structures. I'm going to go over some other structures and their mysteries in other posts in this series. 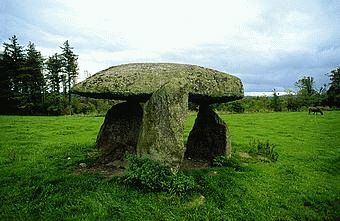 There is just something interesting I noticed is how large monolithic stones were set up in England on one side and Tibet on the other. 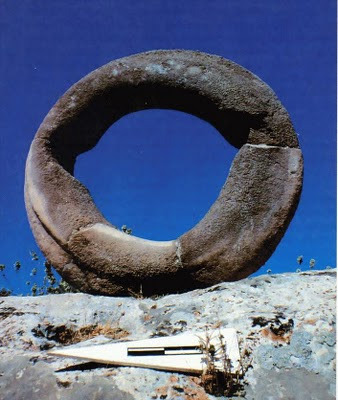 It makes me think of a widespread cultural stream that eventually used large stones for some ritualistic or astronomical reason. Who knows(the culture no longer exists). 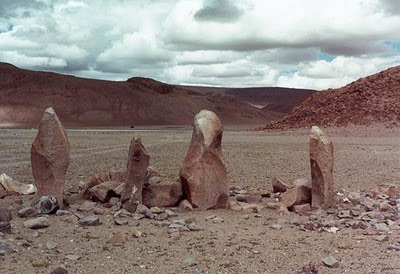 Whats important to me is that what could have been just stones set up in a group, when looked at in terms of all the evidence, suggests a cultural influence that spread across a large expanse of territory. On the barren windswept plains of Tibet...could this be like a tripod which has been broken? Group of rocks in Tibet. So far I've shown that our timeline for the beginning of our earliest cities is grossly out of date and if we take that into account we notice that there may have been a broad diffusion of ideas sometime - or many times - in the past. I will continue to look at the remains of the lost part of our history under 'Ancient Mysteries' from time to time. Note: I got these images from a proper publication & not the link above. Probabaly one of the sites that copied me.